Solar garden lights, the green light over the past decade, such as the United States, Canada, Japan, Europe and other developed countries to rapid promotion, and solar garden lights in China is still in its infancy, and the development is slow, mainly over the past few years solar lighting applications in China the wrong direction. First Chinese development of solar lighting, not family-based solar garden lights, and mainly government-led road lighting. Road lighting needs work around the clock 365 days a year, while most of the country ground to a solar energy can receive close to seasonal and weather, such as rainy days and winter, solar lighting will significantly shorten the working hours can not even work. This gives people an impression: solar lighting, including solar garden light, can not meet the need for lighting. 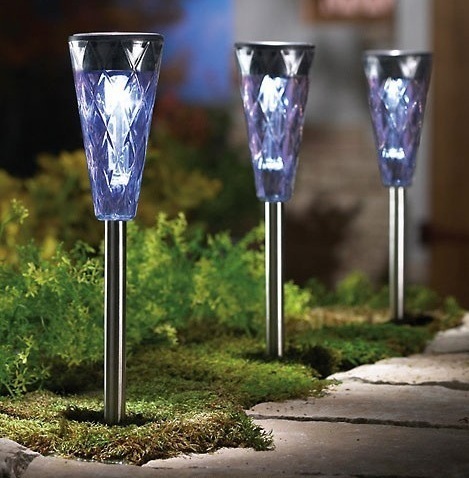 In fact, solar garden lights, its place of use is mainly a private garden or park trails, use of time and solar garden lights can receive sunlight time is the same, such as Rainy Day People rarely go into the garden, naturally, do not need a solar courtyard lights to provide lighting, most parts of China due to the cold winter weather, people rarely outdoor activities, does not require the use of solar garden lights. Since solar garden lights easy to install, energy security, will gradually change people’s understanding of solar lighting, so that the next five years, solar garden lights will gradually into the garden the family, community and the park, giving users more outdoor views.